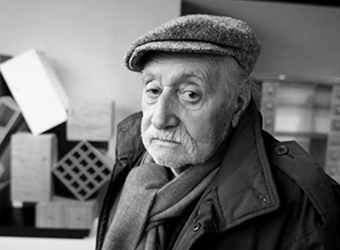 The godfather of contemporary Italian design, Ettore Sottsass believed products should be as sensual as functional. Trained as an architect, Sottsass was a founding member of Memphis Design, a reaction against monotone formalism towards color and geometrical experimentation. Highly regarded through his iconic designs for the workplace with Olivetti, Sottsass had equal impact on private space with his “Superbox” closet, glass and ceramics. 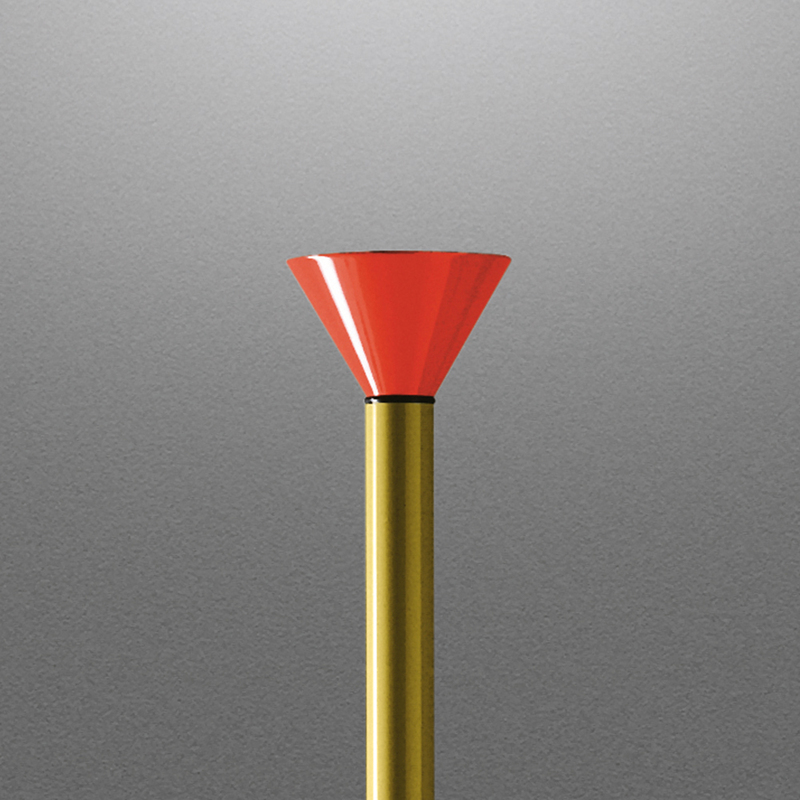 Originally created in 1982, Callimaco has been revitalized by the addition of LED technology. 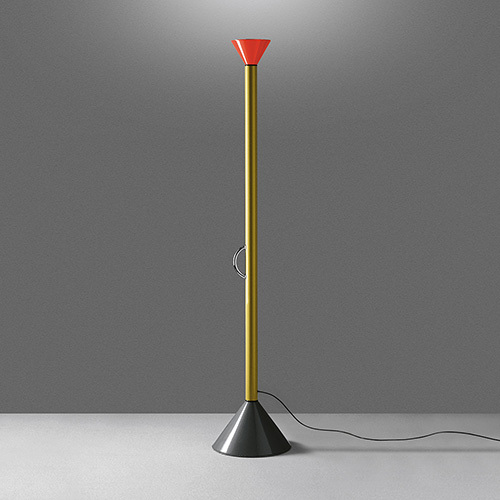 A silhouette is well-known by discerning design enthusiasts, Ettore Sottsass’ “horn” of light has the illusion of an oversized musical instrument. -Body in aluminum with painted polished yellow finish. -Diffuser in steel with painted polished red finish. -Base in steel with painted polished grey finish.